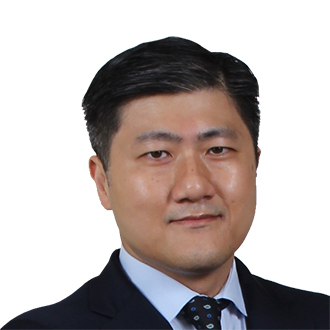 Eric Su is the managing partner of FordHarrison's New York office and he represents employers in employment disputes before federal and state courts, administrative agencies as well as in arbitrations and is the co-chair of the firm's Construction practice group. Eric often defends employers in class and collective litigation involving alleged underpayment of minimum wage, overtime and other wage claims. His practice mainly involves representing management in all aspects of labor and employment law, including investigations by federal and state labor departments; Davis-Bacon Act (and Related Acts), Service Contract Act and state prevailing wage claims defense; defending and prosecuting restrictive covenant claims; counseling management in all facets of workplace fraud investigations, including but not limited to, forensic accounting and IT investigations concerning employee embezzlement, workplace harassment, disloyal conduct and other employee misconduct; Fair Labor Standards Act and state wage law claims litigation, including collective and class action defense; collective bargaining negotiations; unfair labor practice charges, union grievances, strikes, pickets, and other union-related issues; defense of union benefit fund compliance audits and underpayment claims; implementation of workplace policies, including employee handbooks, EEO and wage and hour policies; negotiation of general employment and separation agreements; management of reductions in force, including WARN compliance; defense of workplace harassment and discrimination claims; and defense of wrongful termination claims. He also advises employers on litigation prevention and counsels them on all aspects of the employment relationship, including compliance with wage and hour and EEO requirements, employment and separation agreements, and day-to-day personnel matters. Eric's emphasis and insistence on compliance with wage and hour and other labor and employment laws and regulations have led to many successful results for his clients before federal and state administrative investigations and in federal and state courts. Eric has obtained numerous favorable results for his clients in dealing with investigations by the federal and state departments of labor and has successfully resolved labor department investigations in lieu of criminal charges being brought by prosecutorial authorities. In addition to his labor and employment practice, Eric regularly advises contractors on issues arising out of federal and state government contracts, including counseling businesses in face of federal and state criminal and civil fraud investigations and advising them on federal, state and municipal procurement laws, regulations and rules, bid protests and other related disputes, prevailing wage law compliance, payment withholdings by public owners against contractors and payment claims against public owners. Eric frequently participates in industry and regulatory-agency speaking engagements alongside federal and state labor department investigators, where he advises business owners and their accountants on how to navigate the requirements of labor and employment laws and regulations and handling and resolving government investigations. Eric is also a Certified Fraud Examiner. In his spare time, Eric enjoys playing tennis and cooking. He frequently serves as a volunteer chef for various community organizations. Resolved a United States Department of Labor, Wage and Hour investigation concerning a federal contractor's compliance with the Service Contract Act, in which the government's initial underpayment determination was close to $2.0 million and through reverse audit and extensive negotiations, finding was reduced to less than $50,000. Resolved a New York City Department of Consumer Affairs investigation over home care employer's compliance with the newly promulgated Earned Sick Time Act and avoided a penalty assessment of over $500,000 for non-compliance. Significantly reduced a New York Department of Labor minimum wage and overtime audit against a restaurant (from $1.4 million to $190,000). Achieved settlement with trustees of a union fringe benefit fund for a contractor client in a federal lawsuit in which the fund trustees sought to collect underpayment of fringe benefit contributions of over $2 million, but the matter was settled for approximately $45,000 after two days of trial. Resolved a New York State Department of Labor prevailing wage investigation against a contractor in which the initial underpayment assessment was over $2 million. Mr. Su's representation of the contractor resulted in the reduction of the assessment to approximately $500,000. Resolved a US Department of Labor minimum wage and overtime investigation against a restaurant by reducing the government's initial underpayment finding of $240,000 to $80,000. Represented a contractor in a prevailing wage investigation by the Office of the Comptroller of the City of New York wherein the investigation resulted in a finding of no underpayment owed. Resolved ten simultaneous investigations by the New York State Department of Labor against a contractor for alleged underpayment of prevailing wages and falsification of payroll documents. Mr. Su's representation of the contractor resulted in the reduction of the initial aggregate underpayment finding of over $1.5 million to $300,000. Successfully resolved numerous administrative debarment proceedings against public works contractors before federal and state departments of labor. Successfully resolved numerous audits, investigations and other administrative proceedings commenced by New York State Department of Labor in which the government alleged that the client sought to collect unpaid withholding taxes and unemployment, workers compensation, disability insurance premiums and related penalties assessed as a result of alleged misclassification of workers as independent contractors by clients from various industries, including retail, hospitality, construction and information technology. Obtained an arbitration award of more than $55 million for unpaid change order work on behalf of a contractor against a hotel developer. Successfully litigated and negotiated delay, extra work or change order claims on behalf of contractors performing public improvements. March 06, 2018 - Have You Properly Prepared for a WPA Audit? September 09, 2015 - "BMW Deal With EEOC Shows Perils of Broad Criminal Screens"
August 15, 2015 - "How to handle an agency-led wage and hour investigation"